And what a year! In 1955, Walt Disney's dream of a theme park, the first of its kind in the world, came true. 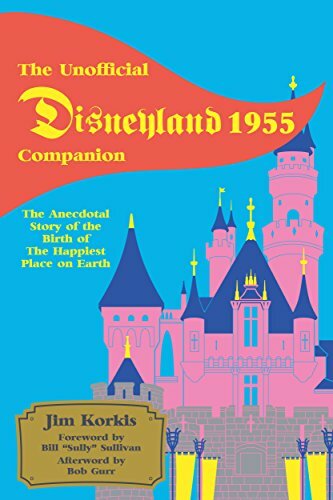 Disney historian Jim Korkis' entertaining tale of an American pop culture icon is power-packed with details, and the most thorough account of Disneyland's early days ever published. As Walt Disney once said: "it takes people to make the dream a reality". Korkis never loses sight of the many people who built Disneyland, from famous Imagineers to obscure ticket takers. From their stories he crafts the epic adventure of how Walt conjured magic from an orange grove, with all the politics and the pixie dust, and the thrill of doing what no one had ever done before. KORKIS IS YOUR "K-TICKET" TO DISNEYLAND...1955!